Hana is an advocate for the Sustainable Seafood Industry in Nova Scotia and throughout the Maritimes. 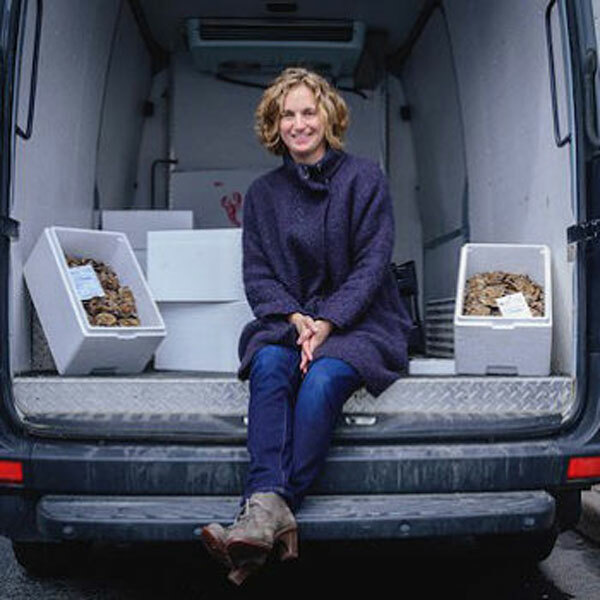 She started Afishionado Fishmongers in 2014, a company solely focused on sustainably farmed and fished products sourced from small scale, low impact producers. Nova Scotia’s seafood industry is strongly export focused and little to no additional value is derived in Nova Scotia in telling our collective seafood stories, in advocating for ecosystem sustainability, and strengthening our ties to domestic markets. This is the rasion d’etre for Afishionado. Hana has since helped grow it to a company that currently serves retail customers across the Maritimes through the popular Catch of the Week CSF, over 50 restaurants within The Maritimes and a growing number of restaurants in central Canada. Hana also knows first hand the realities of the Aquaculture industry as she splits her time between Halifax and her partners oyster farm on Big Island, Nova Scotia (ShanDaph oysters).